Gite des Cathares is a spacious house with 3 self-contained furnished apartments for rent in Couiza, a pretty little French town in Languedoc Roussillon between the towns of Quillan and Limoux. We offer a 10% discounts for stays of 2 weeks, increasing on a sliding scale to 40% for stays of 2 months or longer in winter and spring. Click to scroll down to the long term rentals discounts. 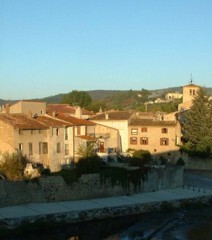 Please see the links on the left to find out more about Couiza, Aude and Languedoc Roussillon. This gives you information about activities in the area, markets and restaurants, cultural and historic events, etc. as well as more information about the holiday home itself, including details about each apartment, photos and floor plans. If you're looking to hire a car during your stay or want to see a map of Languedoc, you are welcome to visit our travel page. 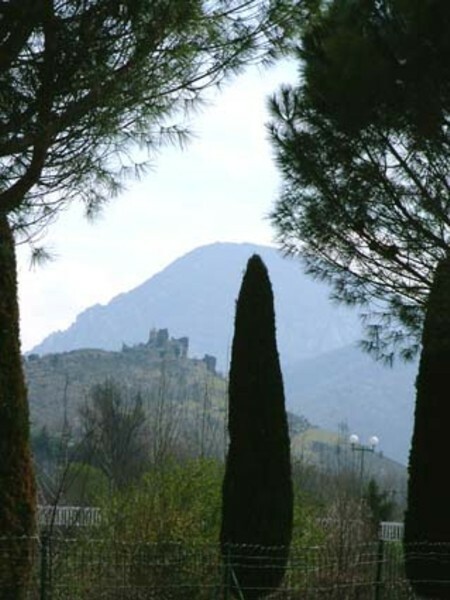 Couiza holds many attractions for visitors looking for a long term French rental - it is easy to get around the area as there are both bus routes and train stations (it's also 34km from Carcassonne airport and 60km from Perpignan). There are 2 patisseries, 3 restaurants, a local Spar shop (mini-supermarket) and an excellent health food shop. A pharmacy, vet and health centre with both doctors and dentists, including both an English speaking doctor and a female doctor. Couiza also has a Post Office with cash machine and a bank. 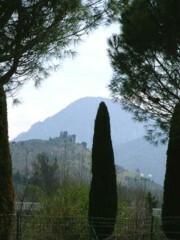 All these facilities are within a short walk of the holiday home, which is at the heart of Couiza. We have several friends who recommend the local schools in Couiza for their high standards of education. The Couiza schools cater for children from the age of 2, up to the age of 16 and there is also a library and a 'ludotheque'' - a games library where children can be creative and play a range of over 500 games. Other after-school activities for children include a rugby and football pitch and tennis courts - all with clubs, plus a play park (particularly suited for under 8's) and canoeing. Intermarche is walking distance from the gite and just a short car ride away, Quillan and Limoux both contain several supermarkets. There are several markets and restaurants nearby. Other attractions in Languedoc Roussillon include the thermal spas of Rennes-les-Bains, swimming pools in both Quillan and Limoux, Carcassonne Old City and the mysterious village of Rennes-le-Chateau, which inspired the story behind The Da Vinci Code. All prices include electricity, internet access, taxe d'habitation and heating for winter lets. Please see tariffs for our usual rates. Between November 2010 and April 2011 a long-term let (2 months or more) on any apartment is only 450 Euros a month - including internet access and all bills - except electricity which is on a meter. For long-term lets we also ask for 450 Euros security deposit, plus 100 Euros electricity, which assuming there are no breakages and the apartment is left in a reasonably clean condition, we will refund within 2 weeks of your departure. This can be paid by PayPal, cheque or cash. If you are considering moving to Languedoc Roussillon for the long term, we highly recommend reading an article by Tony Clay, 'Living in France'. 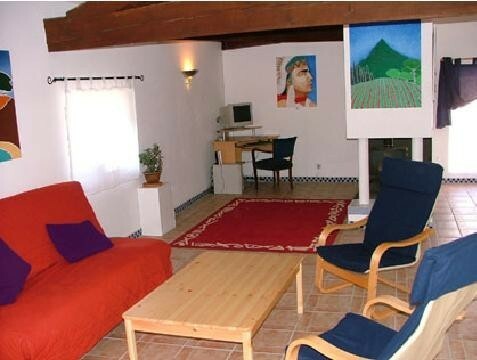 Gite des Cathares has attractively furnished apartments available for rental in Couiza Aude, near Limoux, Quillan and Esperaza in Aude, South France.